Thrilled to be headlining the Sheafstock festival on Good Friday at the Wheatsheaf in Ingleton. 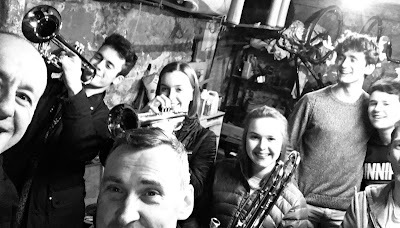 We’ve had lots of fun working with some new musicians to create a special sound and the rehearsals have been .... well a blast. We’re on stage at 8 pm supported by The Corners. Check out the Facebook page for details. It’s free entry and it’s a beer festival. What’s not to like about that?